Don’t let fires, floods, old age or uninterested family members destroy your family history! Digitize your old photos and family documents, whether they’re your own, a collection you’ve inherited or are just visiting, efficiently with the resources and methods in this 4-week online course. You’ll learn the best tools and resources for getting those items stored on your computer and in the cloud — even tricky, oversized items like quilts and family heirlooms. You’ll also learn how to store and organize those items as you go, so you can work efficiently and be able to find things when you need them. By the end of the course, you’ll have a solid plan for digitizing your paper files, old photographs and other family documents and you’ll be well on your way toward being fully digitized. Course runs 26 March – 20 April 2018. Lisa A. Alzo is a professional writer, instructor, and internationally-recognized lecturer. She is the author of nine books and hundreds of magazine articles. 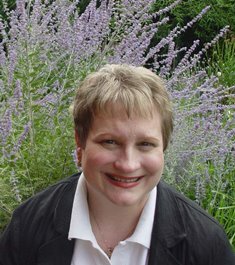 Lisa serves as a contributing editor for Family Tree Magazine and a frequent instructor for Family Tree University.